Profile seeks to bring you a perspective on the FM world from the people who keep the lights on. First in our series is The Bid Writer – the person responsible for turning a bid request into salaries for Facilities Managers and their teams. Lisa Simpson is a bid writer for ISS, which is often cited as the world’s largest employer with over 500,000 employees. ISS has branched out from security and cleaning to a full-blooded facilities services group, and has consistently been ranked as one of the world’s best outsourcing service providers (#1 ranking in 2013-14, by the International Association of Outsourcing Professionals). In her role, Lisa manages requests for proposals from mid-sized to large infrastructure and services firms. She has worked for other large multinationals, including Siemens, and for local firms such as National Australia Bank and Programmed. 1. What is the role of a bid writer? That’s a question I’m asked a lot. Most people don’t even know this job exists! It’s basically to write response documents to tenders issued for services by the public and private sectors. For example, a large bank might decide that it’s cheaper to outsource all the maintenance for its national portfolio of buildings and will release a tender looking for an organisation to contract the work to. 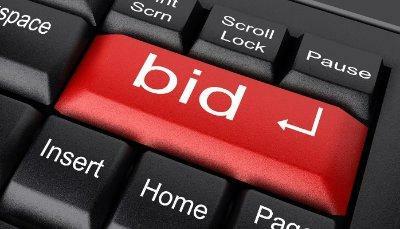 A Bid Writer will write the response to the tender in order to show the company’s capability and (hopefully) win the contract. 2. How much operational advice, from FMs and Suppliers, goes into a typical bid? Actually quite a lot. Most large FM organisations have a structured framework that ensures Operations are included as a matter of process from the very beginning. Despite the old stigma of sales departments and operations working at cross-purposes, it just makes good business sense to ensure you can deliver what you promise. 3. Is the market busy these days? I’d say yes. Certain segments are always busier than others. Government is relatively consistent, rather than busy. If you want a projection, I’d say Chinese organisations operating within Australia are starting to get on board with outsourcing. 4. What are the biggest client hurdles to overcome with a tender? Cost and contractual obligations. Always. Money and ownership of risk are always the main focus of push back. Because Australia is relatively mature in the HSEQ* regulatory space, most companies just take a “tick and flick” HSEQ approach. However, I feel that’s more reflective of the level of confidence the market has in the strength of those regulations and the market’s understanding of how devastating a major transgression can be to future business through damage to reputation, rather than clients placing a low value on HSEQ. Two common areas of focus are creative, mutually beneficial financial models, and innovation. 6. How did you personally get your start in this industry? I started with Siemens in Malaysia as an Assistant Manager of Marketing & IT in their APAC Transportation Hub. We started working on a sizable government rail tender that just sucked in all office resources, and voila, I got my start! 7. Any advice on how potential clients can get the best results out of a BD team? This is the best question I have ever heard. I wish clients asked this. Yes! Allow a MINIMUM of 6 weeks for your tender period – this is key. Give your tenderers time to develop tailored and innovative solutions. This will be to your benefit. Clearly schedule the milestones with reasonable notice. 3 days’ notice for a Presentation will leave you underwhelmed at the results. If you are not confident, please engage a tender consultant. 8. Where do you see the industry headed, from the BD side of things? There seems to be movement towards specialised BD roles across services and industries, which makes sense. 9. Any functionality your team would like to see in a work order management system? 10. What's a bid or business practice that you worked on are you particularly proud of? It’s always the biggest win of your career for every Bid Writer. For me, €700m Suvarnabhumi International Airport rail link in Bangkok.